Who told you that Al Qaeda and Usama Bin Laden were responsible for September the eleventh and why do you believe them? Bush had barely finished reading My Pet Goat, on 9.11 when he placed blame for that days events on Usama Bin Laden, and Al Qaeda. By September 16th a Bin Laden tape aired, and he is denying any involvement, "I stress that I have not carried out this act, which appears to have been carried out by individuals with their own motivation." There was a lot of finger pointing by our government, with barely any time to gather any evidence, and clearly no one was claiming responsibility. 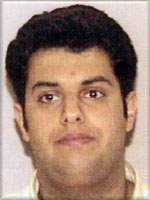 Even though he was so sure almost immediately after the attacks of who was to blame, soon after there were reports of the alleged hijackers to be alive and well, Waleed Al Shehri , was first known as one of the 911 terrorists on AA flight 11, now he is known as a Saudi pilot proclaiming his innocence from Morocco. Shortly after implicating nineteen men from Arab countries, the FBI Director Robert Mueller admits to doubting the identities of some of them, and yet almost five years later, we have nothing more than that. Who are the people that our government beleives were in those planes if its not the named nineteen? 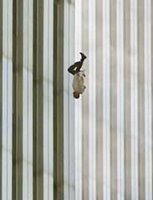 Where is the definitive proof that Usama Bin Laden and al quaeda are responsible for September eleventh? We have not convicted a single person for the September eleventh attack, and that is the smoking gun. We have become the terrorists in Iraq, and Afghanistan, the debt in America has reached historical proportions, and yet we have no answers. Are they looking for Bin Laden for this still, because he is on the FBI's top ten most wanted list, but he isn't even wanted on charges related to September eleventh. Its not too far a stretch of the imagination, to think that our government would manipulate events to work in their favor, to help push their own agendas along. 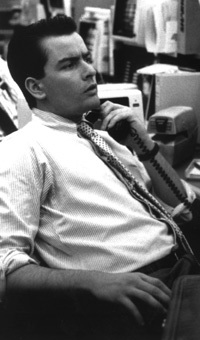 In the early sixties "Operation Northwoods" was proposed to Sec. of Defense Robert McNamara. The operation plans included blaming Cuba for a U.S. orchestrated terrorist attack. One idea involved blowing up a U.S. ship, and using human casualties being named in newspapers as a way to get the American people sympathetic to the call of war on Cuba. A Zogby poll released in 2004 says that, not only do half of New Yorkers believe that 9 11 was ignored by US leaders, but 66% also want answers from congress, they have no confidence in the ability of the 911 commission, so where is their representation, this is a big question. 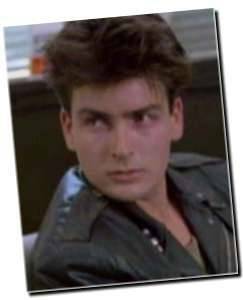 So here I am, I never thought I would be waiting for Charlie Sheen, but I realize now that I have been. He has stood up to bushco, and spoken out about the events that took place on September eleventh. Sure hes just some celebrity, but like it or not those are the people that Americans listen to, and trust. Now its up to the media, will they try discredit him, or will they embrace his inquisitiveness, and allow a stage to be set for the great debate about this day in American History, that has been overshadowed by lies. Lets Hold their feet to the fire, this time. Sheen made a great point about being labeled a "conspiracy theorist" in his Alex Jones interview, "It seems to me like 19 amateurs with box cutters taking over four commercial airliners and hitting 75 percent of their targets, that feels like a conspiracy theory." The president speaking about his morning on September 11th 2001: "And I was sitting outside the classroom waiting to go in, and I saw an airplane hit the tower—the television was obviously on, and I use to fly myself, and I said, 'There's one terrible pilot.' And I said, 'It must have been a horrible accident.' But I was whisked off there—I didn't have much time to think about it." the first plane hitting was not televised.